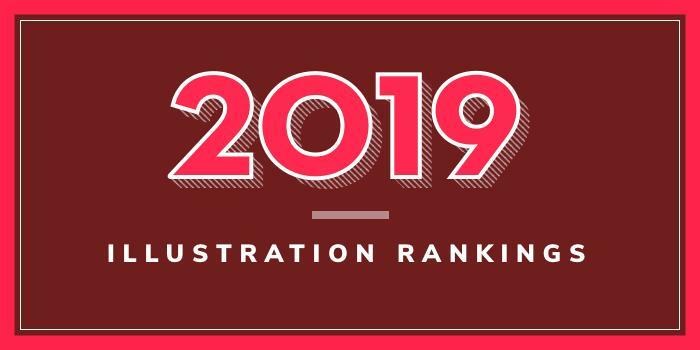 Our 2019 ranking of the top illustration school programs in New York. For an explanation of the ranking criteria, click here. The School of Visual Arts (SVA) was founded in 1947 as Cartoonists and Illustrators School. The school serves more than 6,000 students enrolled in over 30 programs. Offerings for aspiring illustrators include a BFA in Illustration and an MFA in Illustration as Visual Essay. A BFA in Cartooning is also available. According to the school, SVA has the largest illustration faculty of any school in America. In addition to employing 69 faculty members, the SVA Illustration Department serves 473 students enrolled in more than 75 courses. The BFA curriculum consists of 72 credits in studio, 30 credits in humanities and sciences, 15 credits in art history, and three credits in elective courses. Sample courses for the program include Collage Illustration, Designing Tattoos and Other Emblems, Etching and Monoprint as Illustration, Laboratory for Moving Pictures: Adventures in Limited Animation, Novelty Books for Young Children, and Pop-Up: 3D Paper Engineering. While still students at School of Visual Arts, students have landed assignments for The New Yorker, The New York Press, Mad Magazine, and The Village Voice. Students are also frequent winners of the highest awards at the Society of Illustrators, American Illustration, and many other industry-based student competitions. The MFA in Illustration as Visual Essay is a competitive program that accepts just 20 students per year. Students in the program can expect to complete requirements in Computer Illustration, Creative Writing, Drawing, Painting, Storytelling, and Visual Essay. Students will also complete a number of workshops as well as an Illustration Business Book Camp. Other Highlights for the two-year program include close interaction between faculty and students, a personal workspace with 24-hour access, seven days a week, the opportunity to audit classes in film, animation, fine arts and humanities, and regularly scheduled guest speakers from the New York professional arts community. Opportunities for access to working artists, gallery shows, museum exhibitions and internships are also available. Graduates of SVA’s Illustration Department have gone on to work on films such as Sleepy Hollow and for designers such as Prada and Van’s. Founded in 1887, Pratt institute is home to 4,600 students enrolled in 22 undergraduate degree programs, 26 graduate degree programs, and a variety of Certificate and Minor programs across five schools and The Center for Continuing and Professional Studies. Programs for aspiring illustrators are offered through the School of Art and the School of Design. Options include a BFA in Communications Design with an Illustration Emphasis, AOS and AAS degrees in Illustration, and an AAS in Graphic/Illustration. The School of Art houses Pratt Institute’s Illustration Associate Degree Programs. The AOS in Illustration is a career-oriented track, which prepares students for careers in the art and design professions. The AAS in Illustration is transfer-oriented track, which positions graduates to transfer directly into the junior year of the Pratt BFA Programs in Fine Arts or Communication Design. The AAS in Graphic Design/Illustration follows an art and design curriculum that includes a liberal arts component that prepares students to transfer to Pratt’s BFA in Communications Design or the Fine Arts Department. Upon completion of the program, BFA graduates are prepared to seek positions in a variety of industries or they may enroll in Pratt Institute’s Graduate School of Arts, which offers an MFA. Pratt Institute alumni have landed positions at major studios such as Blue Sky, Digital Domain, Cartoon Network Studios, DreamWorks Studios, Industrial Light & Magic, Rhythm and Hues, Walt Disney Animation Studios, Curious Pictures, Gameloft, Sony Imageworks, and many others. Founded in 1944, Fashion Institute of Technology (FIT) is a member of the State University of New York (SUNY) system. The school serves approximately 8,846 students at the undergraduate and graduate levels. Programs are offered through the Schools of Art & Design, Business & Technology and Liberal Arts in the areas of Art, Business, Communications, and Design. Serving approximately 3,322 students the School of Art & Design houses the Illustration Department, which offers AAS, BFA, and MFA Illustration programs. Department highlights include a close affiliation with the Society of Illustrators—the industry's top professional organization, 50 award wins by students in highly competitive student art exhibitions, including the prestigious Society of Illustrators Annual Scholarship Competition, and the mentoring by art directors or illustrators who analyze students’ work and offer professional advice and support. Illustration students also have the opportunity to gain an international perspective on the global world of illustration through a study abroad course in Italy. Sample courses include Applying Color to Illustrate the Written Word, Bok Illustration, Comic Book Illustration, Fantasy and Science Fiction Illustration, Illustrating the Male Figure, Illustrating the Written Word, Illustration Rendering Techniques, Stylistic Illustration, and Watercolor Comps and Illustrations. The Illustration Portfolio Thesis is a final preparation for students entering the illustration business. The three-credit, six lab hours course highlights guest speakers from industry that provide students with insight into business practices, entrepreneurial strategies, and freelance and staff employment. Students present and defend their visual thesis before faculty and peers. FIT graduates have gone on to build successful careers at Advertising Agencies such as Ogilvy & Mather, Young & Rubicam, DDB, BBDO, and J. Walter Thompson, at corporations such as American Greetings and Hallmark, Magazines such as Vogue and Harper’s Bazaar, and entertainment companies such as Walt Disney, Warner Brothers, DreamWorks SKG, and LucasArts Entertainment. The New School was founded in 1896 by American Impressionist William Merritt Chase. Established as The Chase School, the school later changed its name to New York School of Fine and Applied Art. Today, known as The New School/Parsons, this art and design college is home to nearly 5,500 students enrolled in 130 degree and diploma programs. Options for aspiring illustrators include a BFA in Illustration. Minors in Immersive Storytelling and Comics and Graphic Nature are also available, as well as MFA programs. The BFA in Illustration program is part of Parsons' School of Art, Media, and Design (AMT). The program prepares students to work in a range of areas including animation, editorial and advertising illustrations, graphic novels, hand lettering, picture books, surface and display design, and toy designs. Sample courses for the program include studio courses such as Drawing/Imaging, Space/Materiality, and Time, and others such as Intro to Visual Culture: Recitation, Language and Letterform, and Objects as History. Program highlights include projects and internships with Parsons partners including Nickelodeon, Toon Books, The New York Times, Moleskine, Barnes & Noble, and Brooklyn Industries, access to events such as Comic Arts Brooklyn, MoCCA Fest, and other professional gatherings, and the opportunity to connect with New York–based professional organizations such as American Illustration and the Society of Illustrators. Syracuse University (SU) was founded in 1870. The school, which serves more than 22,500 students from across the U.S. and 118 countries, offers more 200 majors, 100 minors, and 200 advanced degree programs across 12 colleges and schools and a graduate school. The School of Art offers two programs for aspiring illustrators including BFA and MFA degrees in Illustration. The BFA in Illustration combines storytelling, drawing, painting, design, and research. Four focuses help students explore specific professional areas. Focuses include Visual Development, Editorial, Sequential, and Licensing. Other program highlights include engagement with nationally and internationally known visiting artists each year, courses taught by practicing illustrators and artists whose work is published and exhibited nationally and internationally, global study opportunities at the SU campus in Florence, Italy or other countries, workshops and lectures, and visits to New York and Los Angeles. All BFA students will have the opportunity to develop a portfolio that will be shown to art directors and illustrators for feedback. Alumni from the illustration program have gone on to work in areas such as illustration for children's books, comics, graphic novels, newspaper, greeting cards, licensing, advertising, magazine, book and online publishing, as well as visual development in animated films, television, and the gaming industry. The three-year MFA program offers online coursework in addition to classes at its two New York City locations (the Fisher Center and Lubin House) as well as in Syracuse, Los Angeles, and Florence, Italy. Students will complete hours of major studio courses, 12 studio elective credits, 12 art history and related academic credits, and six free elective credits. The program ends with a graduate seminar worth three credits and a final presentation, also worth three credits. Program highlights include the option to participate in the Ginsburg-Klaus Art in Los Angeles Week (also known as “Art in LA”), the Turner Semester pilot residency program, which allows students to experience the arts of the West Coast, and to live and work in San Pedro (the Los Angeles Harbor area) during the spring semester, and the opportunity to interact with visiting and resident artists and scholars. An optional internship is also part of the program. Founded in 1937, Queens College is part of the City University of New York (CUNY) system. The school serves more than 19,000 students from nearly 170 countries enrolled in hundreds of programs across four academic divisions. The Division of Arts & Humanities is home the Art Department, which offers a BFA in Design with a Concentration in Animation and Illustration and a 21 credit hour Minor in Animation and Illustration. Graduates of the Animation and Illustration program at Queens College are prepared for a variety of designed-based positions such graphic designer, software and web developer, animator, marketing and advertising specialist, or product designer. Rochester Institute of Technology (RIT) traces its roots back to 1885 when The Mechanics Institute, which was founded in 1885 by Henry Lomb, merged with the Rochester Athenaeum, founded in 1829, with Nathaniel Rochester as its first president. The combined entity was known as RAMI (The Rochester Athenaeum and Mechanics Institute) until 1944, when it became Rochester Institute of Technology. When it opened, The Mechanics Institute had just one class—mechanical drawing. The class attracted more than 400 students, which allowed the school to add Fine Arts just one year later, including freehand drawing, architectural drawing, and design. Today, RIT has international locations in China, Croatia, Dubai, and Kosovo and it serves nearly 19,000 students in the U.S. RIT’s nine colleges offer hundreds of programs at the graduate, undergraduate and professional levels. The College of Art and Design houses the School for American Crafts and the Schools of Art, Design, Film and Animation, and Photographic Arts and Sciences. The Illustration Program is available through the School of Art. Two options are available including a BFA in Illustration and a BFA in Medical Illustration. An MFA in Medical Illustration is available through the College of Health Sciences and Technology. Other program highlights include access to studios with computers integrated into the workspaces, large computer labs, and illustration instructors who are professionals in the field. Alumni are often hired by RIT hiring partners such as Advanced Practice Strategies, Current Medicine Group/Springer Health-care Communications, Dartmouth Publishing, Dragonfly Media Group, Electronic Publishing Services, National Museum of Natural History-Smithsonian Institution, New England Journal of Medicine, The New York Botanical Garden, Precision Graphics, Inc., Science Magazine, Smithsonian Institute, Springer Healthcare Communications, and Visible Body/Argosy Medical Publishing. State University of New York at Oswego (SUNY Oswego) was founded in 1861 as the Oswego Primary Teachers' Training School. One of 13 university colleges in the SUNY system, the school serves around 8,000 students enrolled in more than 120 undergraduate, graduate and professional based programs through four colleges and schools including the College of Liberal Arts and Sciences, the School of Business, School of Education, and School of Communication, Media and the Arts. The School of Communication, Media and the Arts houses the Department of Arts, which offers BA and BFA degrees in Studio Art as well as a BA in Graphic Design with an Illustration Concentration and an MA (Studio Art Emphasis) with the opportunity to study Illustration. An Illustration Minor is also available. BA and BFA Studio offerings include Ceramics, Drawing, Design, Graphic Design, Illustration, Painting, Photography, Printmaking, and Sculpture. The BA program allows students to specialize in a concentration of their choice. The school says that the BFA is for “talented students seeking a high degree of focus” in either Studio Art or Graphic Design. This competitive program is limited to select students. BA students that choose to concentrate in Illustration will complete more than 65 credit hours of study in the concentration. Sample courses for the program include Advanced Problems in Traditional Illustration, Design Concepts 2D and 3D, Digital Media, Drawing, Figure Drawing, Painting, and Watercolor Painting. The BFA program requires at least 80 credit hours of study in Illustration. In addition to many of the same courses for the BA program, students will complete courses such as Ceramics, Design Concepts, Digital Illustration, Printmaking, Sculpture, and Typography. A BFA Exhibition is also part of the program. Students in all undergraduate programs will have the opportunity to complete an internship and exhibit their work at the on-campus Tyler Art Gallery, and at Oswego State Downtown and SUNY Oswego in Syracuse. Graduates will leave the undergraduate programs with a polished portfolio to present at interviews. Career opportunities include Commercial Designer/Illustrator, Freelance Illustrator, Gallery Worker, Museum Professional, Professional Artist, and many others. St. John's University – Queens was founded in 1870 with 47 students and six faculty on Lewis Avenue in Brooklyn, New York. Today, the school serves more than 16,700 students across campuses in Queens (main), Staten Island, Manhattan, Hauppauge NY (Long Island Graduate Center), Rome, Paris, and Ireland. St. Johns also offers through its five colleges more than 100 programs of study in Business, Education, Health Sciences, Liberal Arts and Sciences, and Professional Studies. St. John’s College of Liberal Arts and Sciences, which consists of 19 departments, has more than 30 majors and 40 minors for undergraduates, and 20 degree programs for graduates. The Department of Art and Design houses the Illustration Program, which leads to a BFA. The four-year program consists of 132 credit hours of study in the BFA Illustration Major Sequence (84), Common Core (27), and the Distributed Core (21). Program highlights include the opportunity to complete an internship with publishers, magazines, advertising agencies, graphic design studios, museums, galleries, and other organizations in New York and other major cities, and the chance to study abroad in Rome, Paris or Spain. Some of the courses offered abroad Art in Vietnam, Culture of Southern Italy – A Visual Journey, Drawing and Design in Rome, Painting in Italy, Photography in Paris, The French Sketchbook, and The Italian Sketchbook. Illustration BFA alumni find success within their field of study and most interns are hired by the hosting firm before they graduate. State University of New York at Fredonia (SUNY Fredonia) was established as the Fredonia Academy in 1826. One of 13 university colleges in the SUNY system, the school serves more than 4,600 students enrolled in 79 baccalaureate degree programs, 16 master's degree programs, two multi-award degree programs, and six advanced certificates. Programs are offered through four schools including the College of Education, the College of Liberal Arts & Sciences, the College of Visual & Performing Arts, and the School of Business. The College of Visual & Performing Arts houses the Visual Arts and New Media Department, which offers a BFA in Animation & Illustration and a flexible 21-credit Minor in Visual Arts and New Media. Students in the minor may take five courses in any combination offered in Visual and Media Arts. The BFA is an 80 credit hour program that consists of 21 hours of Foundation courses and 51 in the major. The program also includes eight credit hours in the Visiting Artists Program. Students participate in the program for eight semesters at one credit hour per semester. Sample courses for the program include Advanced Animation/Illustration, Cinema Arts, Color and Light, Digital Foundations, Figure Modeling, Foundations in 3D Form and Content, Intermediate 2D Animation, Life Drawing, and 3D Modeling and Animation. Students may select 12 hours of Art History and Studio Electives to emphasize another major within Visual Arts. Independent studio projects are also part of the program as well as an Animation and Illustration Capstone.